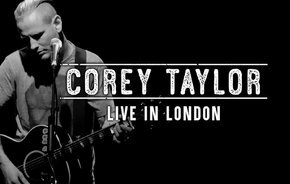 Corey Taylor, aka the singer from Slipknot, performed an intimate show at Koko in London in the middle of 2016, at a time future historians will call ‘Pre Trump.’ Now Corey is streaming this on his website, in return for signing up with your email address. A version of Snuff is on YouTube, and it’s a goody, but the 23 song setlist includes covers of Van Morrison, the Buzzcocks, Creedance Clearwater Revival and REM (yes, he does The One I Love). Oh, there’s also plenty of Slipknot and Stone Sour.